Everyone in PR has been hired and fired probably more times than they care to remember. Here are 16 big moves that tell the story of PR-land in 2017. WPP is increasingly focused on 'horizontality', providing large global clients with cross-network teams. 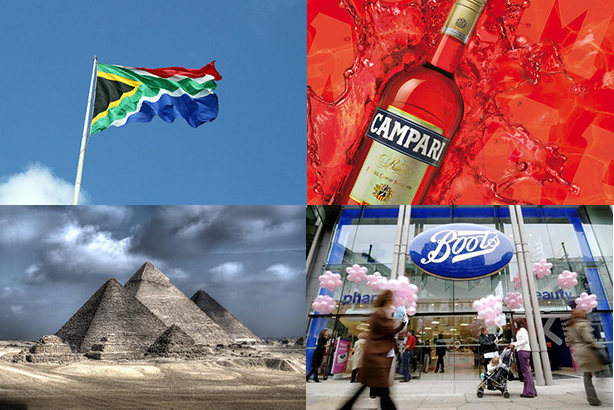 Italian drinks group Campari this year signed up join a total of 50 such clients. More recently, WPP looks set to hold on to another such client, Ford, but it's not a done deal yet. It wasn't just Bell Pottinger - Weber Shandwick also found itself in hot water over a contentious client; the Egyptian Government. It pulled out after six months on the account, with APCO then happily taking it over. The agency has since had to defend itself over the country's stance on LGBTQ rights. Another account move stemming from a WPP mega-deal - The Red Consultancy lost its circa £1m Boots account to Burson-Marsteller. It is not the first, nor will it be the last, 'smaller' agency to have an account taken away in such circumstances. After 15 years with BBH, KFC decided early this year that it wanted a new ad agency, hiring Mother. Longstanding PR partner Freuds avoided the same fate, retaining its account after a pitch process which raised eyebrows among some in the industry when 16 firms were asked to submit creds. Another boon for Freuds, and three other agencies, came in the form of Mars' first global account awards. In May, Hills Balfour won the $1m (£750,000) UK travel marketing and PR contract for Brand USA, unseating the agency that had held the brief since its inception - but the tourism body's future was under question at the time, with potential elimination by President Trump on the cards. Shortly after buying UK independent agency Salt, the Interpublic-owned creative firm MullenLowe Group was taken on to handle global PR for Unilever deodorant Rexona. UK PR people often talk about eating adland's lunch - this brief suggests like they need to keep an eye on their own plate, too. A total of around 100 firms lost out as international paint, coatings, and chemicals manufacturer AkzoNobel reviewed its sprawling rosters, and five months later picked MSLGroup for a global brief. In a major coup for the agency, Portland won a new combined public affairs and corporate comms brief for EDF Energy, beating two longstanding incumbent firms, MHP and Brunswick, as well as Edelman. It will also have a new consumer agency before long, following Red's resignation. Premier Inn took on Golin as its new consumer PR agency after nearly 10 years with Frank. Some might say that a decade is more than a long enough stay in a Premier Inn, of course. Another major piece of energy work was lost by Brunswick earlier in the year - the National Grid handed Teneo Blue Rubicon a broader brief. After a spectacular rise to prominence, many are interested in what happens next to Lansons-backed Hope&Glory. Its Argos win this year was important for the firm in its own right - not least as it has created a growing relationship with the retailer's parent Sainsbury's, which has parted ways with Golin. Cohn & Wolfe was hired by Pfizer earlier this year to help get its Viagra Connect drug declassified. Its success on that front will lead to a full launch next year that one commentator suggests will be one of pharma's biggest events in 2018. Not the largest account by any measure, but a fascinating one that whipped up a media storm - Coulson Chappell, the new boutique agency co-founded by jailed former tabloid Andy Coulson, was brought in to improve the image of Telegraph Media Group. A savvy but risky hire, fellow PR pros reckoned. This win makes the list not as much for the work itself - although Acer's PR is undoubtedly a big win for a small marketing agency now branching into PR - but because it was the first of many stories in 2017 to highlight the increasing power of agencies with virtual working models. One of our 'Seven new UK PR agencies to watch in 2017', Hanbury Strategy was set up in 2016 by former Vote Leave head of PR Paul Stephenson, and Ameetpal Gill, a former David Cameron aide. Businesses' interest in Brexit-savvy comms advice has seen the start-up win briefs with several high-profile clients.